Our lifetime support means you can always turn to Lürssen with any wishes, issues or concerns you might have related to your yacht regardless of where you happen to be. Because time matters when it comes to keeping your vessel running smoothly, we offer comprehensive onsite support to replace any damaged or worn component whenever and wherever needed. Scheduled or unscheduled, when your yacht needs a part replacement, you can always rely on Lürssen for the right component at the right time. For optimum operation, we also provide a range of crew training courses. Also good to know: your crew, design team and representatives are always in good hands during projects at our shipyards, because our local support services take care of all their needs and ensure an enjoyable stay in northern Germany. Whether you come to us for a new build, refit, repair, maintenance or conversion, you can consider yourself and your yacht part of the Lürssen family. As many different services as our lifetime support entails, there is always just one goal: to guarantee pure yachting pleasure for you, your family, friends and guests. We take care of all the technical and practical details, you sit back and enjoy the incomparable world of entertainment, relaxation, recreation and adventure that only luxury yachting can offer. Crew structure proposal, coordination of the setup with the crew manager, crew recruiting & employment, payroll services, crew certificate monitoring, crew training and crew travel. Setup of a customized accounting system, payment services, monthly reports and records, budgeting, maintenance of records. Procurement and shipping of yacht supplies, spare parts and fuel including sourcing of competitive quotes from a network of leading suppliers, warehousing and delivery scheduling. Upkeep of interior items and installations, interior staff training documentation, inspections and reporting. Technical inspections on board, arrangements for the upkeep of the yacht, supervision of dry-dockings, repairs, alterations and general maintenance, class renewals and management of spare parts. Measures to ensure your yacht complies with the laws of the flag state and the classification society, scheduling, organization of transits including security arrangements, sea trial programs, harbour, berthing and agent arrangements as well as policy management for the yacht. Arrangement of hull & machinery, protection & indemnity and war risk insurance, setup of crew health insurance in cooperation with the crew manager and claims handling. Comprehensive services to ensure that you and your team have a relaxed and enjoyable stay at and near our shipyards in northern Germany. Our local support covers areas like housing & accommodations, customs & immigration, travel & transportation as well as entertainment and activities. See below for more details. When you place your yacht in the hands of Lürssen, you can be assured that we will not only carry out the planned newbuild, repairs, maintenance, refit or conversion, but will also see to the needs of your captain, crew and other representatives during their stay in northern Germany. From support in finding accommodations, securing top-quality healthcare to help with logistics and visa arrangements, we are there for you. We also provide up-to-date inside information on local entertainment highlights and organize weekend events and tours. Despite Lürssen’s reputation for being obsessed with quality and engineering excellence, we firmly believe that neglecting the fun factor would be a big mistake. After all, yachting is all about the pleasure and joy of luxury travel at sea, and only well rested, satisfied and loyal crew members can ensure the perfect atmosphere on board at all times. For these reasons, we go to great lengths to make captains, crews and other representatives feel more than welcome here in northern Germany. We provide not only practical assistance, but also recreational activities that create memorable moments. 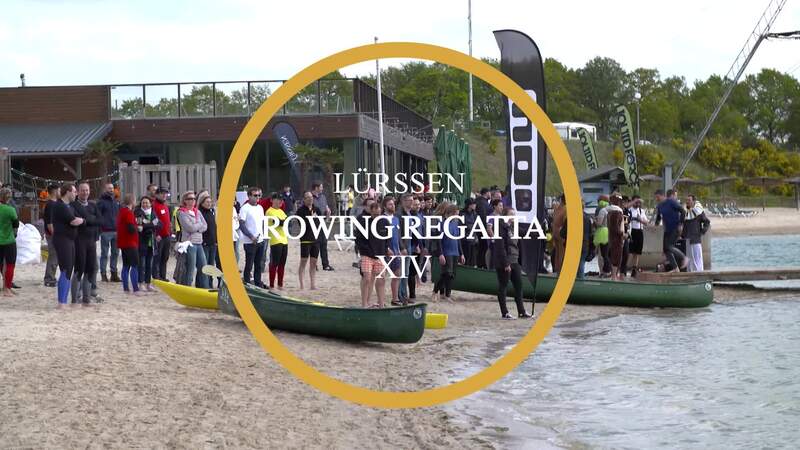 Lürssen fun competitions like our rowing regatta – see video below – have become special favourites among crews from all over the world. Our rowing regatta is a big favourite. The fittest and fastest team takes possession of the coveted trophy, until it’s time to pass it on to the next winner. The race has become legendary for its thrills and spills! Each January, we invite our guests to venture out into the snow for a traditional winter ball-throwing sport: the Bossel tour. It’s always a fun and heartwarming experience of northern Germany’s famous customs and hospitality. Small is beautiful: our mini-cupper regatta is a great opportunity to demonstrate your mastery of the rules of the sea. Even seasoned mariners will be surprised at the treachery of the winds and currents – when piloting a 1–2-meter sailboat. Especially for extended stays, comfortable and tasteful living quarters in attractive locations are essential. We make it easy, with our digital housing portal. It contains only preselected, high-quality residences of various sizes, all with convenient access to our shipyards. Lürssen is always happy to provide tips and advice on what to see and do in northern Germany. Our guidebook app allows instant access to local information, anywhere and anytime. Sightseeing, shopping, restaurants, nightlife, hotels, sporting events and other highlights along with important contact numbers are all at your fingertips. We’d love to welcome you to the family. Interested in Lürssen’s lifetime support?